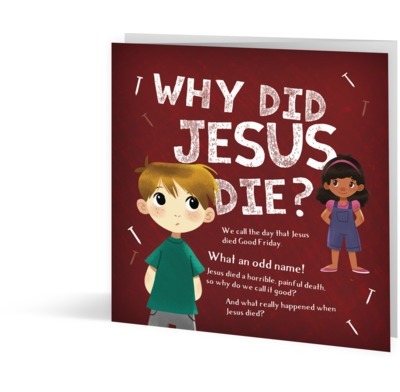 Newly redesigned edition of this best-selling Easter booklet looking at why Jesus died. Christians call the day Jesus died ‘Good Friday’. How strange! But that’s not the only strange thing about the Friday Jesus died, or the Sunday afterwards. This booklet uses puzzles and questions to help children think about four big Easter surprises—and to see what they tell us about why that Friday really was ‘Good’.